Designed to be the best performing powdered detergent and alkaline rinse in the industry. Super concentrated, low foaming with additives to prevent corrosion in equipment, that rinses clean. 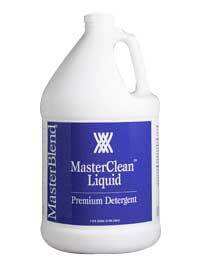 An advanced, high performance, liquid detergent and alkaline rinse that is approved safe on all carpets. Designed for use on stain resistant and wool fibers.